One cup of avocado has 23% of the Daily Value for folate, a nutrient important for heart health. To determine the relationship between folate intake and heart disease, researchers followed over 80,000 women for 14 years using dietary questionnaires. They found that women who had higher intakes of dietary folate had a 55% lower risk of having heart attacks or fatal heart disease. Another study showed that individuals who consume folate-rich diets have a much lower risk of cardiovascular disease or stroke than those who do not consume as much of this vital nutrient. Not only are avocados a rich source of monounsaturated fatty acids including oleic acid, which has recently been shown to offer significant protection against breast cancer, but it is also a very concentrated dietary source of the carotenoid lutein; it also contains measurable amounts of related carotenoids (zeaxanthin, alpha- carotene and beta-carotene) plus significant quantities of tocopherols (vitamin E). 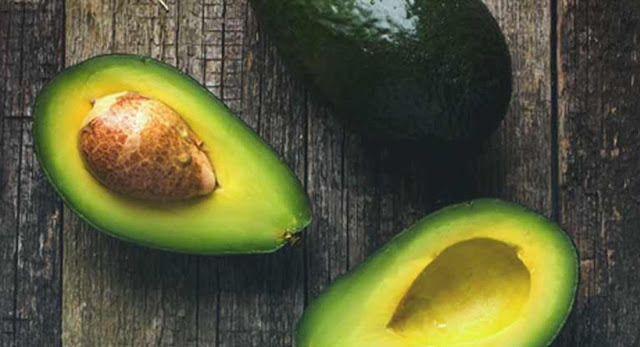 In a laboratory study published in the Journal of Nutritional Biochemistry, an extract of avocado containing these carotenoids and tocopherols inhibited the growth of both androgen-dependent and androgen- independent prostate cancer cells. mixing some chopped avocado into your favorite salsa will not only add a rich, creamy flavor, but will greatly increase your body’s ability to absorb the health- promoting carotenoids that vegetables provide. Adding avocado to salad increased absorption of alpha- carotene, beta-carotene and lutein 7.2, 15.3, and 5.1 times higher, respectively, than the average amount of these carotenoids absorbed when avocado-free salad was eaten. Adding avocado to salsa increased lycopene and beta- carotene absorption 4.4 and 2.6 times higher, respectively, than the average amount of these nutrients absorbed from avocado-free salsa. Since avocados contain a large variety of nutrients including vitamins, minerals, as well as heart-healthy monounsaturated fat, eating a little avocado along with carotenoid-rich vegetables and fruits is an excellent way to improve your body’s ability to absorb carotenoids while also receiving other nutritional-and taste-benefits. Oral cancer is even more likely to result in death than breast, skin, or cervical cancer, with a mortality rate of about 50% due to late detection, according to Great Britain’s Mouth Cancer Foundation. Avocados may offer a delicious dietary strategy for the prevention of oral cancer. Phytonutrients in Hass avocados, the most readily available of the more than 500 varieties of avocados grown worldwide, target multiple signaling pathways, increasing the amount of free radicals (reactive oxygen species) within pre-cancerous and cancerous human oral cell lines, that leads to their death, but cause no harm to normal cells. ? Semin Cancer Biol. 2007 May 17. Earlier research by UCLA scientists also indicates that Hass avocados may inhibit the growth of prostate cancer as well. When analyzed, Hass avocados were found to contain the highest content of lutein among commonly eaten fruits as well as measurable amounts of related carotenoids (zeaxanthin, alpha-carotene, and beta-carotene). Lutein accounted for 70% of the measured carotenoids, and the avocado also contained significant quantities of vitamin E. J Nutr Biochem. 2005 Jan;16(1):23-30.
grams are health-promoting monounsaturated fats, especially oleic acid.